How to access WDMyCloud in UWP? I have an app in the microsoft store and store-managed add-ons are available for it. I wanted to offer my customers to buy the store-managed consumable for a reduced price, if they buy more. e.g. if it was gold, 1 coin would cost $5 and 10 coins $40. Is there an other way to achieve this than using developer-managed consumables? Windows Dev Center provide feature for Sale pricing, please check Put apps and add-ons on sale.During the time period that your product is on sale, customers will be able to purchase it at the lower price during the time period that you have selected. Otherwise, you may try to create several different add-ons for different prices. I am making an app that will access my WDMyCloud and get a list of music video files from a folder where they are stored. And I get Access is denied when I compile the file for store and side install, but while debugging the file does work fine, only when compile for side install is the issue. My WDMyCloud has a static address \192.168.1.4 and the folder that I am trying to access is \Video\Music Video. In the WDMyCloud that folder is setup as public. In visual Studio I declared in capabilities Private Networks. The code that I am using is Directory.GetFiles(@"\\192.168.1.4\Video\Music Video\"); and if I run code in debugging it works fine. But when I compile the code for Store and side install I get the error for Access is denied. I have check around in the internet but found nothing that would work. I am thinking maybe there is a way to access it using the user name and password. In windows I have the credential already setup and saved with that information. Please if anyone have idea how to access WDMyCloud in UWP would be very helpful. The .appx that is built from Visual studio 2013 express doesn't want to pin to start menu. Previous programmer made 2 configuration. First configurations used to build app with cheats for testing, second configuration used to build normal app(ready for shipping to windows store). Then VS2013 makes .appx I install it and see, that cheat version pins to windows 10 start menu(it possesses pin option on right click) while normal version doesn't have such option(+ if I try to drag and drop it on start menu, it shows a red block mark, indicating that I can't pin this app to start menu). What I am looking/asking for, is the location of some kind of flag, that determines if app is pinnable to start menu. I can't tell much more details, as I am not allowed to reveal company's secrets(including apps names and some other details). It can't be logo/app images missmatch, as they are identical in both configurations(just in case, I tried to play with images, no result), it must be code or configuration files. I tried to mess up with Package.appxmanifest and WindowsStoreProxy.xml files, but nothing interesting. 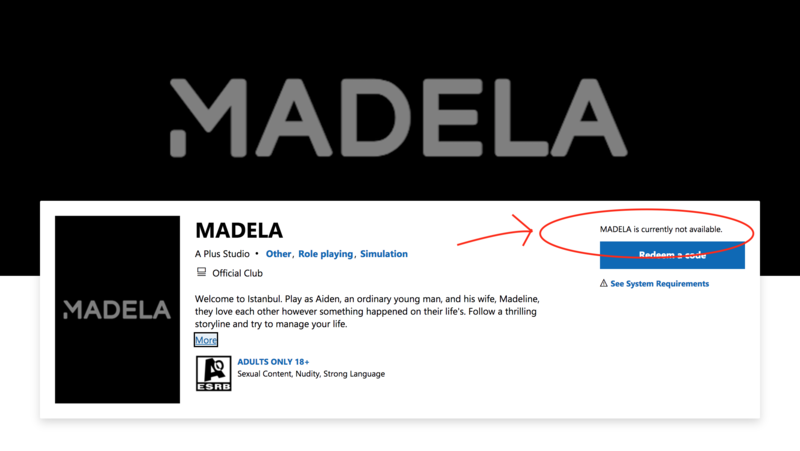 I uploaded one game called 'MADELA' to the Windows Store and it passed all the certification and published in Windows Store, But when I navigate to Windows Store through the link it says MADELA is currently not available. I also contact with Microsoft support and they answer me "your application has not yet been published because you set the release date for 9/9/19. This means that your application will not be published until this date" but I don't want to release my game and I want to start pre-order. After a few days and contact with Microsoft support my issue not resolved. We have developed windows 10 UWP using cordova and generated APPXUPLOAD from Visual Studio. During windows certification test, we have corrected few files and re-saved in UTF-8. After these corrections, app was successfully uploaded to store. It stops working even in Local Machine after when we re-saved certain files of type .html, .css, .js in order to upload to Windows Store. But after download and launching, we always get blank screen foloowed by Spalsh Screen. And when we manually installed using PowerShell script, everything is working fine. Need your expert help on this issue. I expect navigate to custom designed login screen post splash screen open. I published my Google add-on for Spreadsheet almost two weeks ago. Using Google Analytics, I noticed that a couple of days later, my add-on was accessed for at least 10 minutes by two users on the Google Corporate network. I guess these were reviewers. But since then, nothing happened. I did not receive any email. It is not possible to find my add-on in the G marketplace. I did not restrict the add-on to Admins only. How can I have my add-on visible in the G marketplace search. If I did something wrong in the add-on, then why I did not get any feedback asking to correct? I have a google doc with N number of pages. Requirement is to convert each page as separate Google doc. Tried to find PAGE_BREAK element by parsing the body and when PAGE_BREAK is detected, create a Range, copy the content and then create a new Google Document. // When PAGE BREAK is added via script, I am able to detect the PAGE_BREAK element using findElement method only. Any suggestions on how should I go about solving this problem. [19-04-12 15:46:32:706 IST] PARAGRAPH should be PAGE_BREAK, but it comes as a PARAGRAPH. Whenever I try to provision an add-on, I keep getting the popup that my account is not permitted to put any addons in with the app I am making. I already went to the link to have my email verified, but it still gives me the same error. The app I am trying to install is Mailgun, which I want to use instead of SendGrid because my account on there is suspended(it is a new account and I never used it before). Is there anything else I can do?